To get more insight about the upcoming release of Axis & Allies Online, we sent a few questions to Beamdog, the developers of AAO. We received some wonderful answers from Cody Ouimet, Producer for Axis & Allies Online, and Trent Oster, Beamdog CEO & Project Director for Axis & Allies Online (pictured above). Axis & Allies Online will be available soon on Steam for Windows, Mac, and Linux. How did you get started playing Axis & Allies? Tell us a few memories you have of this game. Cody: I first played Axis & Allies back when I would have been about 20, when I attending Vancouver Film School enrolled in Game Design. We spent a lot of time in the first few months studying analog game design, and one of our instructors wanted to introduce us to a long-form war game experience. We had a few choices for board games to play, but the class ultimately settled on Axis & Allies 1940 Europe/Pacific Edition. We split the class in half and took turns each controlling a power within each faction. We played that first day for about 9 hours before we called it quits, took pictures of the board and moved it somewhere other students wouldn’t interfere with it. We all came in over the weekend to keep playing it. It was a blast, and all 25+ of us got really into it. We were getting crazy with paper peace treaties and formal declarations of war with proper turn notice and everything. It really set the bar for me personally on how crazy long form war games like that could be played. Trent: I started Playing Axis and Allies in the mid eighties with some friends from school. We’d get together on a Friday night, set up the board, prep the snacks and spend the rest of the evening each playing our country. We would draw for which nation you would play and the rest of the evening was spent in pursuit of victory. We had one friend who was obsessed with rolling for technology and every game, regardless of which nation he was playing he would buy at least one research roll every turn. I remember one game session where he was playing Russia and he rolled, getting super subs. Sadly, before he could do much with his subs his weak defense crumbled due to a lack of domestic defense spending. How did this project come about? What is the origin story of Axis & Allies Online? Cody: I’ll defer to Trent on this one, since he’s the one who started the Axis & Allies Online train a couple of years ago. 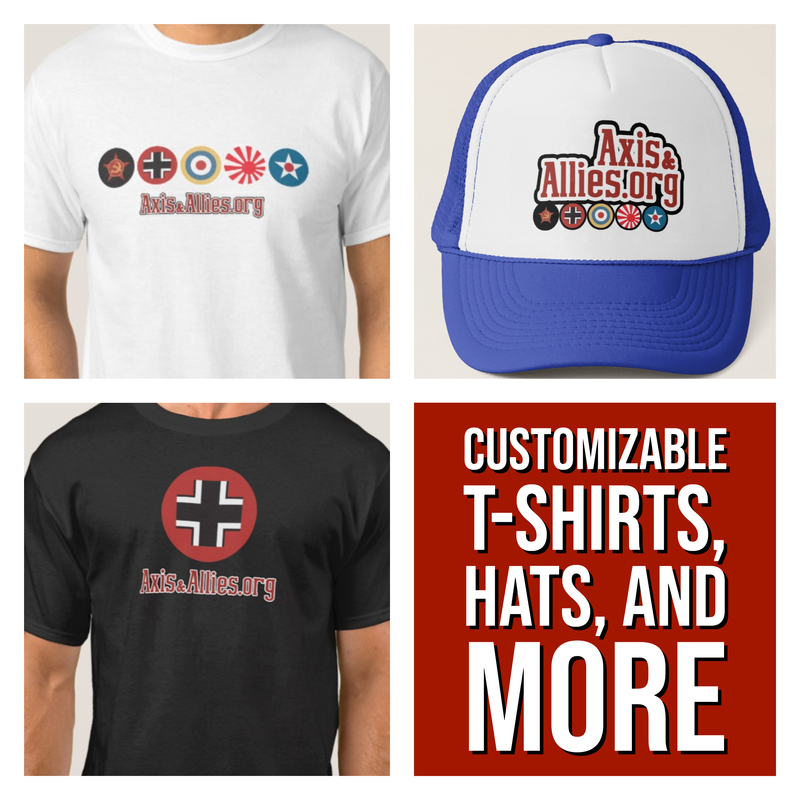 Trent: Axis and Allies Online came about through John Feil. John was the Wizards of the Coast Producer assigned to work with us on the Baldur’s Gate: Enhanced Editions. During one of our meetings in mid 2015, John made a comment about Axis and Allies and I mentioned how I loved playing the game in High school and University. John then brought it to my attention that Avalon Hill was under the Wizards of the Coast umbrella. After a few discussions around the kind of game we wanted to make, we started talking through the business terms and detailing out the the game we were interested in building. We signed the deal for the project in late 2016. When we spoke previously, you mentioned that Larry Harris was involved. What was his role in development of the digital version? Cody: Larry Harris was brought in as an advisor fairly early on in the project, primarily to help out with tutorials and educating new players. He provided valuable insight into this process, and while we ultimately did not pursue his initial design for the tutorials, his influence can still be felt in the end product. Trent: Early in the development we talked to Larry a few times, asking him about the intent of some rules and the various rules revisions he had made for the 1942 Second Edition. We contracted Larry to work up some tutorial / single player mission concepts. We had a number of conversations around scenarios in World War II which would work well as tutorial scenarios for the game. The current tutorials are much simpler versions of these scenarios, focused much more on the rules and less on the setting. There are several great versions of Axis & Allies. Why did you select Axis & Allies 1942 Second Edition for Online? Cody: 1942 2nd Edition provided us with a fantastic jumping off point in terms of creating a game that provided a lot of depth and complexity, but still approachable for new and experienced players alike. One of the main goals with Axis & Allies Online was to make a game that was approachable by any type of player, from the new and inexperienced, all the way to the veteran player who has logged hundreds of hours into the board games. Trent: We chose 1942 Second Edition as it seemed to be the happy middle of all the versions. I’m a huge fan of the original Blue box and I have played a few games of the Pacific Theatre / European Front mega board. I’ve only played one game of the 50th anniversary version, but I’m really anxious to play again. When we discussed the various box sets we always returned to 1942 Second Edition as the standard. Are there any plans to bring other versions of Axis & Allies to the online platform? Cody: Right now, in order to accomplish our goal of creating an authentic, approachable and fun experience with 1942 2nd Edition, we haven’t begun to look too far ahead into the future in regards to any additional box sets. That being said, we are looking to support Axis & Allies Online well into the future with new features and additional content. Trent: We are very interested in other rules versions and maps for Axis and Allies Online, but at the moment we do not have a concrete plan going forward. We are very committed to the game and we plan on supporting Axis and Allies Online well into the future, we’ll just have to see how those plans roll out. How long has Axis & Allies Online been in development? Cody: Axis & Allies Online has been in development for a little over 2 years now. Trent: We started initial development working with an external company, GSkinner.com, an Edmonton-based, highly talented, custom development studio in 2016. We quickly evolved into a co-development effort, sharing work between GSkinner and Beamdog internal staff in early 2017 . In late 2017, we realized the effort required to deliver the experience we wanted was going to be much greater than our initial estimates, so we moved the product completely internal to Beamdog and hired to fill out the team. Were there any interesting challenges about building this game that you would like to share? Cody: One of the largest challenges the team faced was how to approach implementing a lot of the finer and explicit rules like Fighter and Aircraft Carrier obligations. To paraphrase, In Axis & Allies 1942 2nd Edition, players need to ensure that when Fighters are committed to a movement or combat, that they have a valid location to land. Normally in 1942 2nd Edition, players need to pre-establish where their Fighters will land, especially if the unit they are landing on has not been mobilized yet. Creating a digital version of this, this very quickly become a logistical nightmare. The easier solution would have been to limit player options behind the scenes, but to new players who are still unfamiliar with the rules, that was not an immediately readable or understandable solution, so we had to rework how we handle everything behind the scenes in order to showcase to players why they could or couldn’t do something with a unit, be it a fighter or even just an Infantry. Trent: Early in the development of the game we did an analysis of the rules and plotted out how the user interface would work in most cases. Then we hit transports. From an interaction mechanic, transports are exceptionally involved. Not only can you move a transport during the combat round, but you can initiate an amphibious assault through an occupied sea zone, but only if you win the sea zone battle. From a state management and combat scheduling standpoint this starts to get complicated. When you add in the possibility of the transport carrying an Anti Aircraft Artillery and attempting an amphibious assault and the other unit dying in the assault, the AAA cannot win the combat, creating a complex rules scenario. The joy of written rules and exceptions is they can be easily interpreted by people when playing the board game. The complexity of building a simulation which can deal with all the edge cases and potential odd outcomes continues to grow over time. Additionally, the challenge of creating a capable Artificial Intelligence player who can comprehend those rules and play them well is daunting. We realize the game isn’t in Early Access yet but is what can you share about how the Online version of Axis & Allies relates to the physical version? Cody: Part of making an authentic adaptation of Axis & Allies 1942 2nd Edition was trying to get a good feel for what made the game special, and one of the things we felt made the board game special was the scale of the miniatures on the map and feeling like you engaging in a large scale war. By being able to zoom in and out to see the units and map at different heights, and seeing the individual units (to a point) on the combat board rather than a singular miniature with a token counter brings a sense of scale and gravitas to each combat encounter. Trent: We’ve really tried to capture the essence of the box set, including the appearances of the units. We’ve modified the map coloration to be more similar to the latest Axis and Allies and Zombies map colors so we could create a strong contrast between the units and the background, ensuring players can clearly make out each unit. The units are in some cases constructed from actual 3D models of the units we were provided by Avalon Hill. In other cases, we had to recreate the models based on the units in the game and the descriptions of which type of units were featured. For example, the USA fighters are the P-38 lightning, which makes them very distinct from the other nation aircraft, in addition to coloration. We also worked hard to keep the user interface clean and simple, allowing it to be playable on older computers with lower resolution screens. We’ve gone through at least three complete UI revisions and I’m very happy with where we arrived. In our final UI iteration we drew inspiration from the DIN 1451 Font, which is a sans-serif typeface that is widely used for traffic, administrative and technical applications. It was defined by the German standards body DIN – Deutsches Institut fur Normung (German Institute for Standardization) in the standard sheet DIN 1451-Schriften (typefaces) in 1931. The character the font gave to the user interface really informed our decisions on the character of the UI. After playing a few games, the “asynchronous play” really streamlines game play. Tell us more about that. Cody: One of the special things about playing board games is getting together with your friends, setting up the game and playing through it. But the world we live in today can make this a difficult goal to achieve at times. By giving players the ability to play an authentic adaptation of the game on their own time, with their close personal friends or strangers from around the world, it opens up the field for more people to get in and enjoy the game. One of the great things about Axis & Allies 1942 2nd Edition is that the game lends itself incredibly well to playing asynchronously from the other players. By automating a lot of the Defender side of combat and play in a way that feel natural and logical to most players, we can easily isolate an individual players turn from everyone else, have them take their turn and then pass the baton to the next player in line. Instead of getting 1 or 2 games of Axis & Allies in over a weekend, you could now feasibly player 5 or more games in a single night! Trent: The concept of “asynchronous play” is really a concession to modern life. While we all wish we had time to live up a five hour session with four good friends, reality seldom allows for it, with different work schedules, travel schedules and relocation for jobs it can be impossible to get everyone together. The concept was to allow for a player to make his or her turn all in one sitting, without having to wait for another player action before you can proceed. This necessitated a method to remove defensive rolling and allocation from the combat board, but it really speeds up taking your turn, with a player able to purchase units, declare combat moves, fight out the combats in order of precedence, make non combat moves and then mobilize the purchased units in under five minutes. By replacing the choice of defensive unit loss with an order of loss mechanic based on unit cost and criticallity ( don’t sink the aircraft carrier if there are still fighters which may need to land) it really drives the capability to take your turn quickly and progress the game. The FAQ implies the the game board is the “out of the box” standard setup. Is that correct? Cody: Yes, Axis & Allies Online will make use of the standard out of the box board setup when it launches. Trent: The Rules we follow are the rules as they are in the box, including the latest errata rules from Larry Harris. The Axis & Allies community has strong opinions about the board games, especially 1942 Second Edition, and will definitely have ideas to share regarding Axis & Allies Online. What is your plan to gather and incorporate feedback into the game? Cody: We’ll be paying attention to player feedback through several different channels. We’re going to be gathering feedback through our Early Access survey, which will available through the game or via the End-of-Game e-mail notifications, the Steam Community sites and our Social Media channels. In addition, players can file specific feature requests through our support site, which is also available in the game. We hope that by having a lot of different avenues for players to provide feedback and input to the team, we can work together to develop Axis & Allies Online to be the best game it possibly can be. 5) push the planned changes to a beta server and gather feedback on the changes. If the feedback is positive we push the beta build to live and start taking broader feedback. 6) return to stage 2. 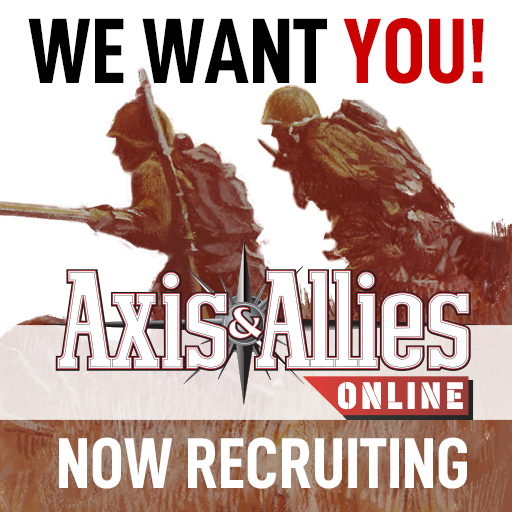 Is there anything else you would like to share with us about the upcoming Axis & Allies Online game? Cody: Axis & Allies Online has been a labour of love from a lot of the developers over at Beamdog. We’ve been working hard to ensure we’ve made a game that is faithful to the source material, and just as fun to play. We can’t wait to get the game into your hands and to continue to build this great game and franchise together as a community. Trent: We are Axis and Allies fans and we’ve worked hard to build a fun, accessible version of the game and we hope you enjoy playing it as much as we have. We are looking forward to your feedback on the game and we are excited to get the game into your hands. Axis & Allies Online will be available on Steam for MacOS, Windows, and Linux. Be sure to check out the Axis & Allies Online Steam page and add it to your wish list. David Jensen has been operating Axis and Allies.org since 2000 and writing about Axis & Allies since 1997.